Our solution for real-time files synchronization that enterprises can benefit of, to support their employees with latest company updates and presentations. 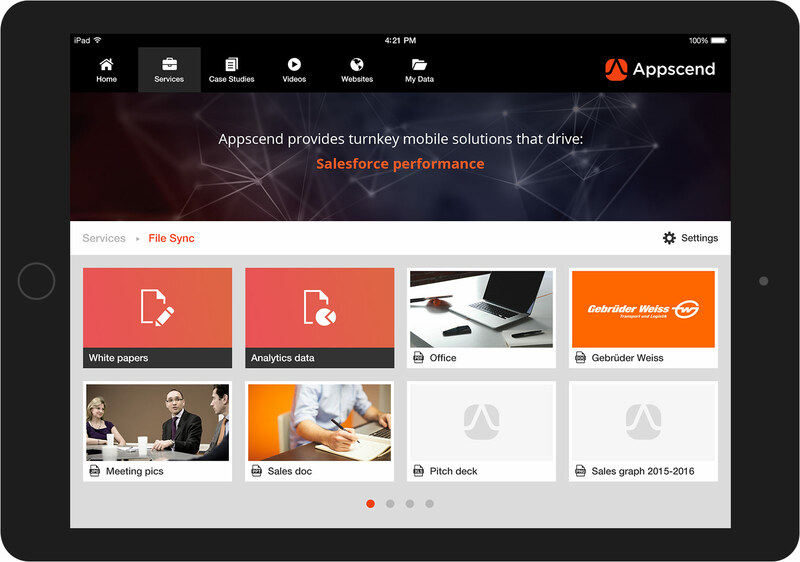 Within the business world, a real-time synchronized mobile solution, can make the difference, in help your employees improve your customer acquisition. Publish in real-time any documents, case studies, presentations or videos employees might need in the field. Synchronization is done automatically and documents can be shared right from the app. 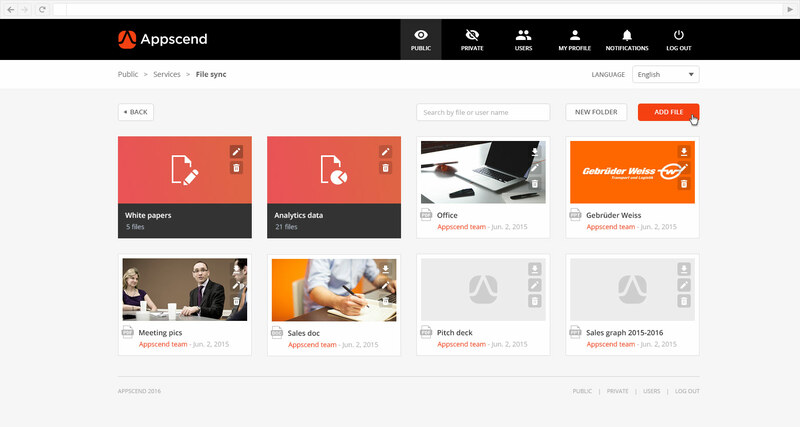 Users/employees have the possibility to access a dedicated web dashboard and manage their own documents. Anything they add in the dashboard will also be available in the app, automatically synchronized. The application has an offline mode feature. By having the application synchronized, employees are able to access any of their documents even if the device doesn't have an Internet connection. WANT TO SEE OUR FILE SYNC Solution IN ACTION? Security of documents and information is a delicate topic for all the enterprises around the world. 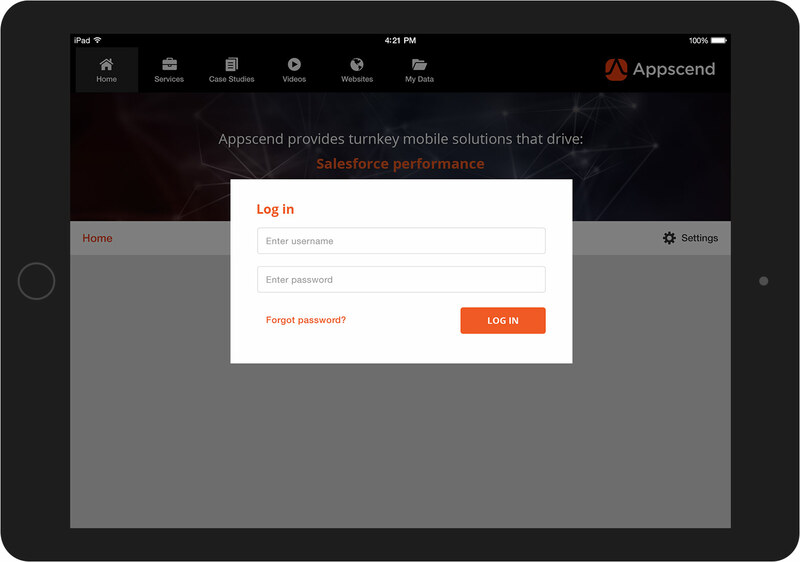 Benefit from a secure login solution with the possibility to add accounts from a dedicated dashboard. User accounts can be blocked from a dedicated dashboard. Blocked accounts cannot access any files in the app. Company documents can be remotely erased from any devices that have the app, keeping sensitive information secure. An easy to use web panel to administrate all the application’s documents, users and internal communication. The administrator of the solution can manage the application’s accounts and the files the employees will need. The application has a multi language support and it can be synchronized based on the language the users select. Push notification messages can be sent to employees to announce about any internal information they need to be aware of.